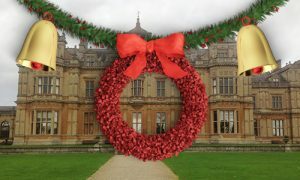 It’s the Westonbirt House Christmas 10k on Sunday 11th December DB Maxers! This inaugural race in association with Specsavers of Cirencester, sees the launch of DB Max’s second 10k event at this stunning venue. Please click and read your race letter here carefully prior to race day. Race bibs and timing chips have been posted out to you. If you have not received your race bib by Wednesday 7th December, please email DB Max here. If you have signed up for the #finishinthebar mulled wine and mince pie, or beer and mince pie, you will need to collect your wrist band from race HQ before the race. You cannot run with someone else’s number. Anyone found doing so will be disqualified immediately and reported to the ARC. That’s all for now folks. Good luck with your final race preparations and we look forward to seeing you on Sunday 11th December.